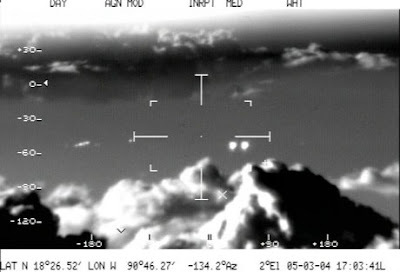 Mexican Air Force pilots filmed 11 unidentified flying objects in the skies over southern Campeche state, on March 5 2007 using infrared equipment. They appeared to be flying at an altitude of about 11,500 feet, and reportedly surrounded the jet as it conducted routine anti-drug trafficking vigilance in Campeche. Only three of the objects showed up on the plane's radar. 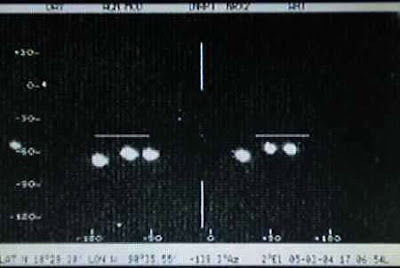 A videotape made widely available to the news media on Tuesday shows the bright objects, some sharp points of light and others like large headlights, moving rapidly in what appears to be a late evening sky.